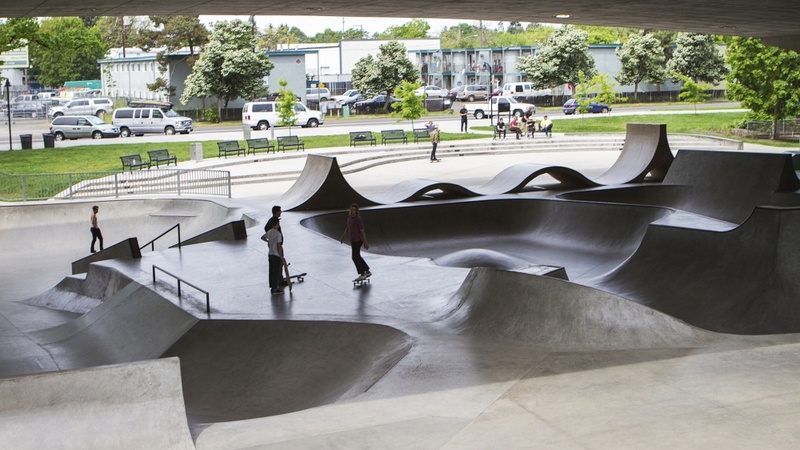 A UO professor says attracting skateboarders to public parks can actually make them safer, an idea that runs contrary to some popular ideas. Ocean Howell, a professor of architectural history in the Clark Honors College and the College of Design, has researched the effect skaters had on Love Park in Philadelphia, turning around the formerly dangerous park. He was quoted recently in an article in the British newspaper The Guardian. In addition to a general sense of safety, Howell said, adding more skaters can drive away illegal activities such as drug-dealing, because dealers typically don’t like to conduct business in crowded areas. That idea could be applied to London’s Southbank Centre, which was destroyed in 2004 and threatened with closure in 2014. But a campaign is fighting to not only save what is left but also to rebuild what has been destroyed. And adding skaters might actually make the area safer. For more, see “How skaters make cities safer –– and the fight to save the Southbank skate spot” in The Guardian. Howell, who used to be a professional skateboarder, focuses his research on how the built environment both reflected and shaped social experience in the 20th-century United States, with a particular interest in questions of urban planning and ethnicity.